ToadWorks Mad Dog is THE fuzz box of the new millennium - with it's snarling mids, hairy highs and low growl, Mad Dog rips the competition to shreds. Priced to fit any budget, Mad Dog offers unparalleled tone and uncompromising quality, making Mad Dog the choice of professionals and amateurs alike. All fuzzes are not created equally, and someone has to be the winner. Once you hear Mad Dog's bark, you'll beg for it's bite. After years of searching for a suitable fuzz, we finally gave up and designed one. 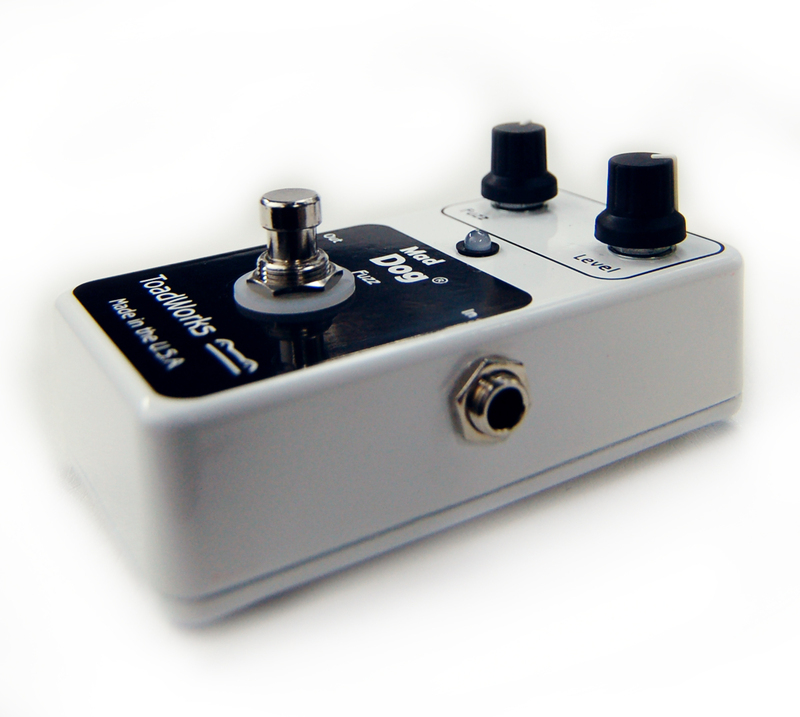 ToadWorks Mad Dog is not simply another clone (in a sea of clones), it is an original circuit designed to offer the best fuzz tone and simplest operation, at the lowest price. From the 60's to the 00's, fuzz has been one of the most recognizable and celebrated effects in popular music. Mad Dog represents the fuzz tone for a new generation. 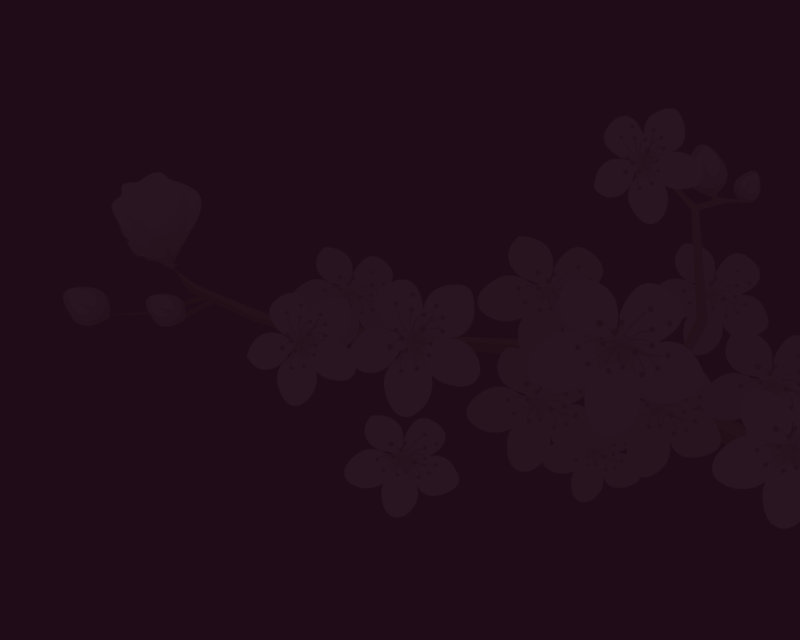 ToadWorks has picked up where others left off, with Mad Dog leading the way. Mad Dog is hand wired, by people, not machines. 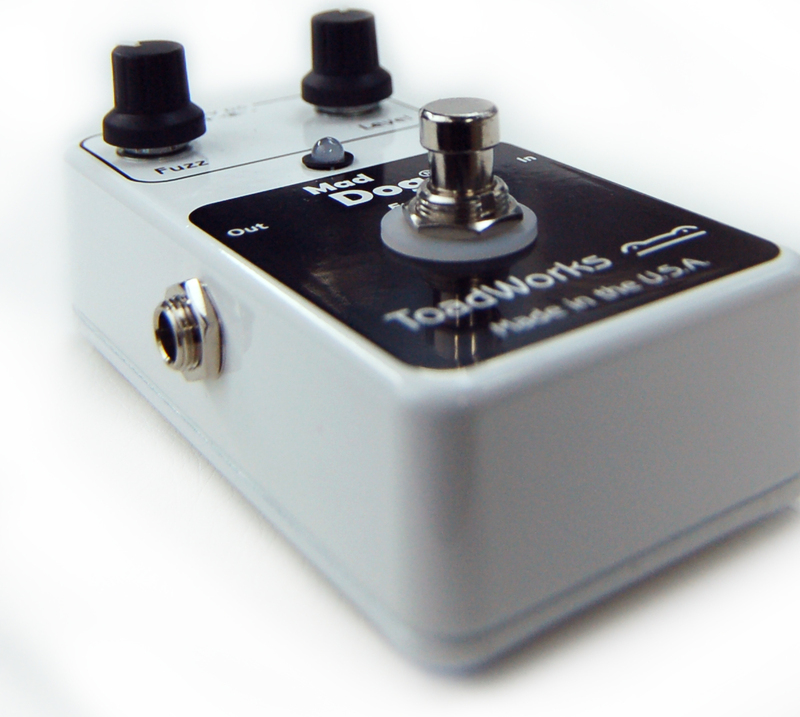 From our high quality 3PDT switches to the custom made enclosures and knobs, each component is the finest available, making ToadWorks Pedals the most well-built and reliable effect pedals in the world. 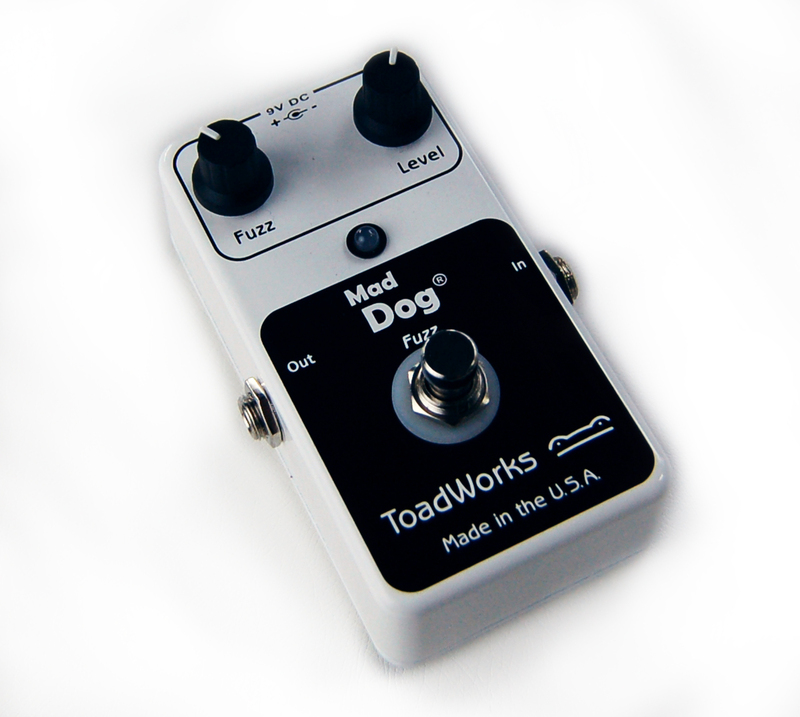 ToadWorks Mad Dog is a transistor-based fuzz effect, featuring the finest, smoothest, tastiest fuzz tone known to man. Custom matched transistors eliminate the shrill high-end and floppy low-end common among lesser fuzz pedals. 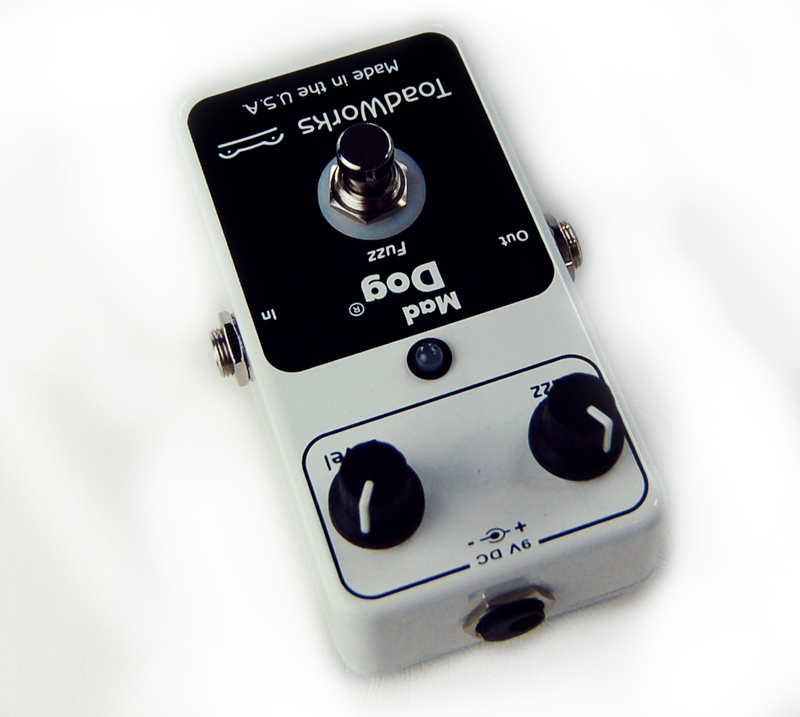 The switch turns the effect on and off, the Fuzz knob controls the amount of gain present in the signal, and the Level knob controls the overall signal level. 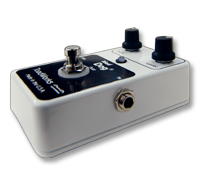 Mad Dog features a true-bypass circuit, so your bypassed tone stays crystal clear. Each pedal is carefully manufactured by hand, using only the finest components. Dimensions (h)4.5" x (w)2.4" x (d)2.5"